QUOTE: "Here is Fun500 GUI after 2 years!" After a long downtime, the Fun500 GUI (Codename YIKES!) is back in style. Let's have a look at it. The installation wasn't very nice so I simply unzipped the installer's files and ran it from there. The GUI's main concentration is on window themes. As you can see, it comes with the Fun500 theme, Windows 98 theme, and the Windows XP theme. Although there is no instruction on how to create a theme, it can be done somehow. The system is minimal. There are a few built-in programs which allow you to either customize it or just have fun. hehe The buttons are pretty static, meaning they look like pictures more than buttons. 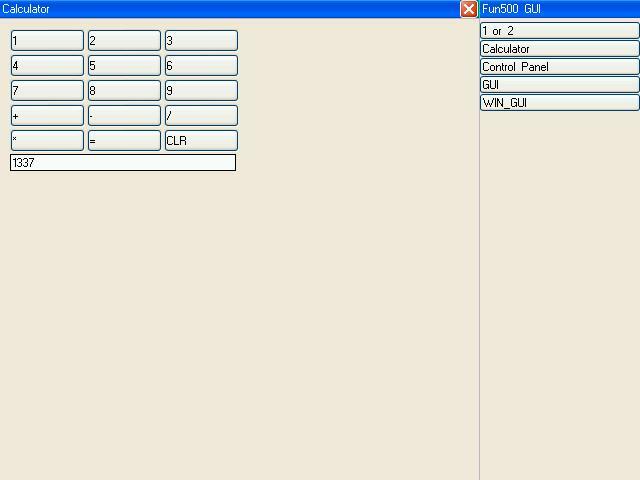 They are functional, which is important for any GUI. It's a good start to a fine GUI.